A2 Hosting is one of the fast web hosting around! We love their features, especially the convenience of their A2 Optimization. Live chat is inconsistent and needs to be improved, but overall, a very good host! A2 Hosting is a fun-loving web hosting company which was created way back in 2011. Initially, they named themselves Iniquinet but after a couple of years of being in business, they made what was possibly the best business move they could have ever done – they rebranded themselves as A2 Hosting (sorry, but Iniquinet really wasn’t a very good name!). Named after the founder’s hometown (Ann Arbor, Michigan) the CEO manages to provide excellent service for their customers while maintaining a fun-loving, light-hearted company culture. How Does A2 Hosting Hold Up Against The Competitions? Is A2 Hosting a solid website host? 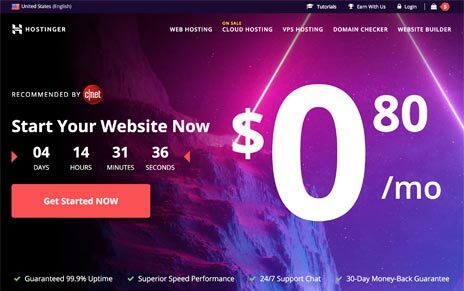 Recently, we’ve heard people singing praises about their web hosting plans, so we went ahead and bought ourselves a Swift and a Turbo account just to see how they perform, and you know what? We’re pretty damn happy with them. People might have sung praises about their unlimited benefits. They’ve implemented many features and perks that’ll keep customers happy, but really, it’s the whole speedy package, conveniently wrapped with quality of life features that truly leaves the competition eating dust. In fact, after serious testing and benchmarking, we feel that A2 hosting definitely deserves their place on the big boys’ table. Here’s a list of things we love about the A2 hosting, and a few things we didn’t. Our two test sites are a2turbohosted.com and a2sghosted.com. The former is hosted with A2 Turbo at their Michigan datacenter; while the latter is hosted with A2 Swift at their Singapore datacenter. 1. A2 Hosting is FAST! Here at Bitcatcha.com, we’re all crazy about SPEED. The faster a web host can perform, the better they are in our books. You see, when it comes to online businesses, we understand that speed is everything and every millisecond matters. Just take note of the time it takes for you to blink. A webhost needs to respond to a request in HALF that time to be considered effective (which is Google’s recommended speed – 200 ms), and your data needs to be transferred to the customer’s screen in roughly the same amount of time, because anything slower than that will cause your potential customer to potentially no longer be a customer because he/she got too bored and decided to visit another faster, more effective site. Speaking of effective, A2 Hosting is VERY effective and fast. We put our two test sites – A2SGHosted.com (hosted in A2 Singapore, Swift) and A2TurboHosted.com (hosted in A2 Michigan, Turbo) – through our intensive Server Speed Test, and we were very happy with the results that came back. We tested for response times between the server’s location pinged from 8 different positions around the globe. We then averaged out those numbers and ranked the web hosts based on how well they perform. Google’s recommended response time is 200 ms (lower is better). So anything below 180 ms is ranked A+; 181 ms – 210 ms is ranked A; 211 ms – 220 ms is ranked B+; 221 ms – 240 ms is ranked B and so on and so forth. Both the Swift account and Turbo account server speed test results came back ranked A+, Swift with a worldwide average of 176 ms and Turbo coming in slightly faster at 169 ms.
Granted, these are not the fastest server response speeds we’ve seen, but any web hosting that gets ranked A+ is considered pretty damn good in our books. Combined with A2’s list of luxurious features, we’ve got ourselves a web hosting gold medalist. A2 Hosting’s Turbo plan comes with an secret weapon – their Turbo servers. They claim that sites hosted on their Turbo servers are able to load 20 times faster than regular sites, because they limit the amount of users per server and apparently, the servers are more efficient at handling connections. 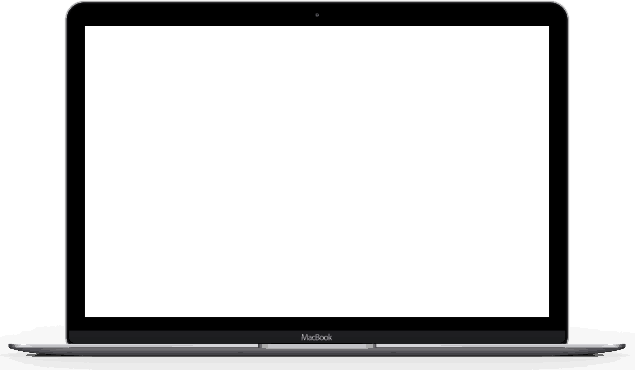 It took the Swift site 1.066 second to completely load, while Turbo site completed the document in just 0.981 second. It’s definitely an improvement and we suspect we’ll see a bigger disparity between the page load speeds if the sites are heavier. All of A2’s shared hosting plans comes with SSD Storage which really contributes to their fast loading speeds. You may feel that this isn’t that big a deal, but let me assure you, quite big this deal is. A site that is slowed by just 1 second will lose customer retention, resulting in massive loss of sales. SSDs are around 30% faster than regular hard disks, so whenever we see SSDs as our web hosting storage options, the corners of our mouths curl upwards in anticipation of super quick loading speeds. Check out this windows boot speed test for an example of the speed difference between SSDs and HDDs. One of the definitions of ‘uptime’ according to Wikipedia, is the direct opposite of downtime. Yes, that’s super helpful. Basically, uptime is the amount of time your site has been up and available to view by your precious customers. Since getting 100% uptime is practically impossible, most web hosts out there settle for being able to provide 99.9% uptime. The difference between A2 hosting and the rest is that A2 guarantees 99.9% uptime. If unscheduled downtimes occur to your site more than 0.1% of the total time per month, A2 will provide a service credit of 5% from the amount paid per month for every hour your site is down due to internal network or equipment failure. Obviously, this doesn’t apply to DDoS attacks, ISP problems or any issues that are caused by outside forces, but we’re pretty happy that this guarantee is there to begin with – their confidence in their uptime inspires confidence in us! Here are the tracking data from our test sites, tracked using uptimerobot.com. Both counter below are constantly updating. * Price includes unlimited resources, free SSL, and free website migration. ** 30-day money back guarantee. Online businesses are no different from regular brick and mortar businesses in the sense that we are always looking for ways to keep our expenses low. It’s really annoying when we have to fork out for additional expenses if we want another domain or add on an email address. With A2 Hosting, this writer was very happy to experience a host of unlimited features with both Swift and Turbo accounts. These are just the unlimited features. Wanna have a look at what we get for FREE? Between the free and unlimited benefits, we finally realised how it felt like to be treated like a king. The best part of it all is, we didn’t even have to worry about any additional costs at all! Every respectable web hosting company knows that the key to success in this business is a solid support team. All the speed and hardware in the world isn’t going to do the customers much good if there’s nobody around to help them troubleshoot problems. A2 has cleverly branded their support team as Gurus, technical experts who are able to solve any problem you might have at any given hour. Our experience with them was quite a pleasant one, our tickets was resolved rather quickly and the Guru I spoke to in Live chat was friendly, knowledgeable and helpful. The only issue i had was that it took a little longer than usual for us to connect to an agent, but this shouldn’t be an issue once A2 hires more support staff. We’ll talk more about this issue below. The datacenter locations of web hosting companies is absolutely crucial for speedy loading times. No matter what kind of tech or hardware webhosting companies crow about, when it comes down to data delivery speed, it’s all about how close the datacenters are to your target customers. If you’re targeting Singaporeans and your website is hosted in a datacenter in North America, your data will have to travel quite a fair bit to reach the screens of your customers (which means it’s gonna be slow to load) and sometimes, that’s just not going to get the job done. While most web hosting companies only has datacenters in the USA, A2 hosting has 4 datacenters worldwide, 2 in America, 1 in Amsterdam and 1 more in Singapore. This way, A2 covers America, Europe and Asia – you just have to select the closest datacenter to host your site in relation to your customers, and they’ll be able to enjoy quick loading speeds. A2 Hosting is recognized as one of the top web hosting for Singapore websites. Learn more. Some of us enjoy tweaking our software, tinkering with the settings to squeeze out every drop of performance. Others like me, prefer for things to work right out of the box with the best settings possible. A2 Hosting really punches above its weight with this feature, with software settings pre-tuned for maximum security and top performance. As of now, this optimization option can be applied to popular software like WordPress, PrestaShop, Drupal, and Joomla, which means that we don’t have to worry about page load speeds – in their own words A2 “takes the guesswork out of how to get the fastest page loads and most secure settings”, leaving us to run the business without any worries. Just to give you a rough idea of how much better the software is with A2’s Optimized Software, Optimized WordPress runs up to 6 times faster compared to non-optimized sites! There’s an overall improvement in site loading speed with Turbo Cache ON, but it isn’t 20x faster as advertised – this could be because our test site is super light and there’s not much to load. Even then, there’s a few milliseconds shaved off here and there with Turbo Cache ON. It might not seem like much, but it all adds up to contribute to the site load speed. If your site is heavy with plenty of images, you’ll probably be able to really see the 20x faster load speeds come into play. We were also able to install our favourite software easily with A2’s 1-click set up support. This was very convenient and useful, especially when it came to installing check-out counters for e-commerce sites. * Price starts from $3.92 /mo with free SSL and unlimited resources. Navigating around A2’s login UI felt so easy and natural. They obviously paid a lot of attention to user experience, making everything intuitive and convenient to use. You can find everything you need at the top panel, clearly laid out in contrasting colours catches the eye. Everything is where you’d expect it to be, with a search bar prominently placed in the centre for you to look up their impressive knowledge base articles. Using it felt natural, the colour combination is pleasant, doesn’t hurt the eye, and all the important links and icons stand out so you never have to look too hard for them. Long story short, we love the UI! As much as we liked A2 Hosting’s Turbo Plan, we’d be lying if we said they had absolutely no flaws. We contacted their live chat support to ask for help with some minor issues we encountered, and we found them to be very patient, helpful and knowledgeable. The thing that frustrated us was the waiting que time; it took a little longer to get connected to somebody. Once we got through, they were really helpful and efficient in solving our problems, but one thing we noted was that they seem a little understaffed. The Gurus we connected to were experts in their field, but it seems like they were handling 2-3 different requests at a time so it took them awhile to respond to us. Long story short, support speed is inconsistent but fruitful. Once they hire more support staff to help with response times, they’ll have one of the best support teams in the industry. A2’s shared hosting plans comes in 3 sizes – Lite, Swift, and Turbo. The Lite plan is the most basic of them all, giving you access to only 1 website and 5 databases at only $4.40 per month. Last but definitely not least, the Turbo plan is their fastest plan yet, with all the same benefits and features of Swift, but with Turbo Servers – (up to 20 times faster) and A2 Optimised features. This plan will cost you $10.29 monthly. If you’re looking for a big speed boost. You’ll have to decide for yourself if a speed boost is worth the extra cash. * Special introductory price. 50% off the regular price. Price wise compared to SiteGround (our favourite host so far!) you won’t see much difference, but you’ll have to decide if you prefer features or speed – A2 has better free and unlimited benefits while SiteGround has much faster server speeds. All of the plans come with a 99.9% uptime guarantee, but what’s even more interesting is that these shared options has Node.Js supported, a feature usually reserved for VPSes only! When it comes to reseller hosting, you have 4 options to pick from – Bronze, Silver, Gold and Platinum. Costs ranging from $14.91 monthly for Bronze to $42.23 monthly for Platinum, you can choose based on the resources needed for your reseller corporations. All of the reseller plans come with Plesk Control Panel, Free eNom Reseller Account and Anytime Money Back Guarantee. The Silver, Gold and Platinum plans also comes with free WHMCS. If you’re looking for VPS hosting, A2 has a few managed, unmanaged and core VPS hosting options to pick from. You get to customize your servers, selecting what you need and only control what you pay for. Perfect for those that specific web hosting! How Does A2 Hosting Hold Up Against The Competition? How can we call this a detailed review without at least performing server response time tests between the star of the show and the competitors? After all, server response time plays a very important role in making or breaking your business (e.g. note the amount times you turned away from a site just because it took too long to respond). We took a look at A2’s Swift plan and compared them against our favourite web hosting plan SiteGround’s (Bitcatcha.com is hosted with them!) GrowBig plan, and here’s what we discovered. 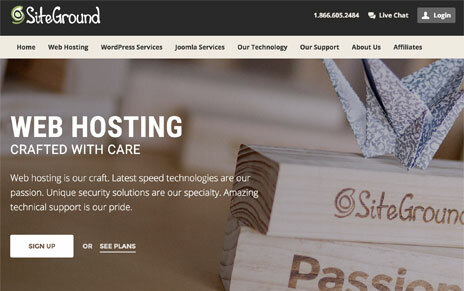 As Shared WordPress plans, both webhosts has their own WordPress-centric benefits. Some features are named differently but is created for the same purpose, while others are unique to the plans. Take note that while Swift and GrowBig are the web hosting brand’s moderate package, it seems that GrowBig provides more speed benefits as their SuperCacher (enhanced caching) feature is available from the get go, while A2’s users will need to upgrade to the Turbo plan to enjoy their Turbo servers. We feel that this alone gives SiteGround’s the edge when it comes to value – roughly the same price but with better loading times. With the datacenters of these two brands located in Singapore, it’s no surprise that they did exceptionally well around Asia, with SiteGround being slightly faster between the two of them. It’s a little disappointing to see A2’s response time pinged from Australia is 326 ms, as compared to SiteGround’s super quick 98 ms. Overall, both hosts did exceptionally well with A2’s Swift plan at a worldwide average of 176 ms, vs SiteGround’s speedier servers at a worldwide average of 148 ms, which gives both of them our coveted A+ ranking. With both of these plans at a similar price point (SiteGround GrowBig at $5.95 and A2’s Swift slightly lower at $5.39 per month) it seems that SiteGround GrowBig has the better deal. However, A2 may not be as fast as SiteGround, but they are indeed quite fast and they come with unlimited storage and bandwidth. Next, we pitted A2’s Turbo plan (their most expensive plan) against Inmotion Hosting’s Power plan (their medium priced plan). They seem to be in direct competition with each other, as evidenced by the faults they’re pointing out in each other’s plans. Both of these plans feature a lot of unlimited benefits which is nice, but Inmotion Hosting seems to have more limitations to their features – not really surprised, considering the price difference. Inmotion’s datacenter is located in US West, while A2 had theirs in US East. Both did exceptionally well overall, ranking A with Inmotion’s worldwide Average at 153 ms VS A2’s 169 ms.
Inmotion dipped above 200 ms with pings from London and India, while A2 dipped above 200 ms in Singapore, India and Sydney. If you’re targeting American markets, Inmotion has 2 datacenters in USA (1 East, 1 West) for you to pick from, while you’ll also have 2 datacenter if you decide to go with A2 Turbo (Michigan and Arizona). Conclusions: Is A2 Hosting A Solid Website Host? It’s safe to say that A2 Hosting is a solid web hosting brand. They’re not the fastest web host around (they performed slower than the competition) but they’re by no means slow either – both their Swift and Turbo plans produced a worldwide average response time of below 180 ms, giving them a strong A+ ranking. What they lack in speed (I can’t stress enough that A2 is actually pretty damn fast, just not as fast as the competitors in the same bracket), they make up for in convenience and unlimited features. Their A2 Optimized Software feature and 1-Click Set Up is such a time saver, allowing busy business owners a way to conveniently set up their site with the most optimized settings possible. A2’s prices are actually quite decent with the Swift plan, but if you want faster speeds you might wanna opt for the Turbo plan, but it’s actually quite pricey. 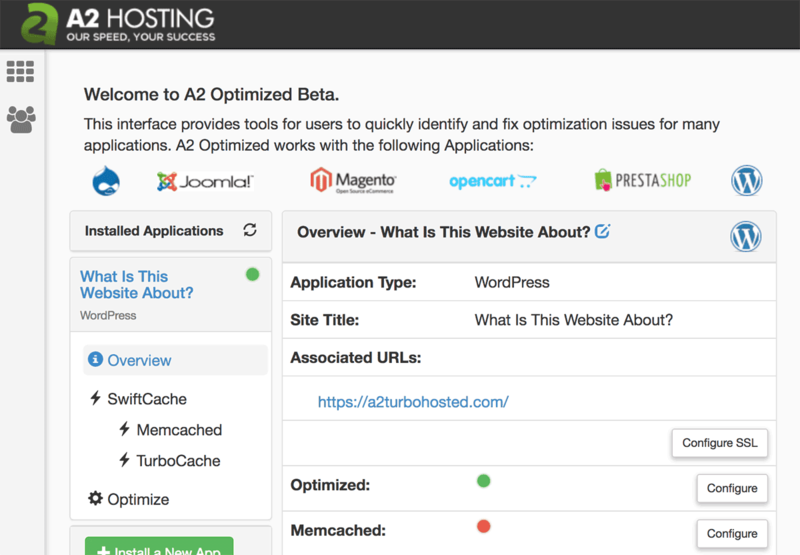 Nevertheless, A2 Hosting is chock full of really good features that makes life easier for us. It’s unfortunate that their live chat support is a little inconsistent, but if you can look past that, they’re an excellent brand to host your website with. If you want to host unlimited websites and email accounts with decent speed, look no further than A2 Hosting.